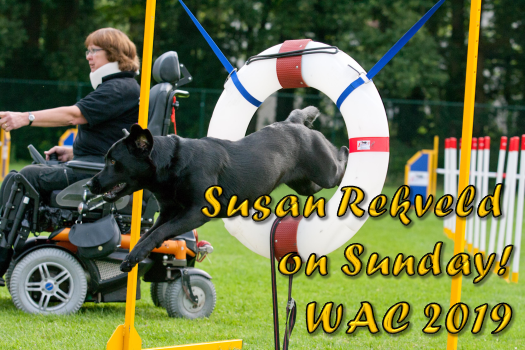 Susan Rekveld from the PAWC is coming to give a demo on Sunday during WAC2019 and the participants and people who are watching can take part of the demo. In 1996 she watched a television program about dog training she decided to start agility- training wit her dog Cindy. She already had some experience with Obedience training because she trained her dogs to assist her at home. She started agility competitions with her first dog Cindy. 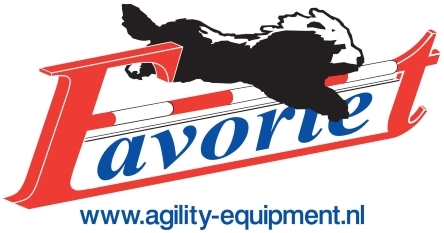 In 2002, working together the organisation of the International Mix & Breed Championship Agility (IMCA), championship agility valide handlers, the ParAgility World Cup (PAWC) was born! This is a championship agility for handlers with a disability. Thanks for your great work Susan! We are looking forward to meet you and your special dogs at WAC 2019. Learn more about PAWC at this link. Joke van der Molen will take pictures on the event and you can buy pictures from there dogs by her.